Pugliese Associates is proud to announce the addition of lobbyist Catherine “Katie” Dotto, Esq. to the firm. A friendly and familiar face in the halls of the Capitol, Katie joins Pugliese Associates bringing several years of lobbying experience to the firm. Prior to joining Pugliese, Katie served as Manager of Government Relations for a statewide professional association focusing primarily on tax policy and legislation as well as licensure issues. During her time in Harrisburg, she has worked with the State Legislature, the Administration, and various state agencies, giving her the opportunity to see the issues from a “big picture” perspective. Her experience with a multitude of business-related issues range from legal reform to tax credits programs. 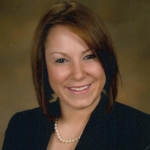 Katie is a 2006 graduate of Fairfield University (Connecticut) and a 2009 graduate of Widener University Commonwealth Law School in Harrisburg. She also received a certificate in Law & Government following the completion of an externship with the Pennsylvania Legislative Reference Bureau where she authored a legal note regarding proposed legislation that would extensively revise the Uniform Arbitration Act. Katie is admitted to practice law in Pennsylvania and New Jersey and is active on the Widener University Commonwealth Law School Alumni Association Board of Directors. In 2014, the Alumni Association recognized Katie as the Outstanding Recent Alumna. Katie is also active with Women in Pennsylvania Government Relations (WPGR) and sits on the Board of Directors of the Pennsylvania Association of Government Relations (PAGR). Katie’s addition to the firm comes after the departure of government affairs lobbyist Anthony Pugliese, who recently left the team to run for an open seat in Pennsylvania’s 92nd House District. We, at Pugliese, wish Anthony the very best in his committed pursuit of a lifelong aspiration to serve and represent the public. We also extend warm wishes to Katie and welcome her to the Pugliese Associates team as we continue to serve our clients by providing them with a strong voice in State Government.